SYDNEY (Reuters) – The head of Qatar Airways apologized on Wednesday for saying that a woman could not do his job, while global airlines pledged to speed up efforts to break down gender imbalances in aviation. He defended his airline’s record of gender diversity, saying 44 percent of its staff were female including some in senior positions. “Quite frankly I think the press took it out of context. They … blew it out of proportion. It was just a joke…I apologize for it,” Al Baker told a CAPA-Centre for Aviation conference in Sydney. The issue of gender imbalance in aviation was a hot topic at the three-day annual meeting of IATA – only six of whose 280 member airlines, or 2 percent, have female chief executives. On Wednesday, the director-general of IATA noted that al Baker had earlier apologized for his comments. In 2017 he apologized after calling U.S. flight attendants “grandmothers” during a trade row with U.S. airlines, prompting an airline union to accuse him of sexism and age discrimination. Sharing a podium, Willie Walsh, the head of British Airways owner IAG (L:ICAG), said the industry had a long way to go in promoting women, starting with IATA, a quasi-international organization with two women on its 31-person board. Al Baker pledged to bring more women onto IATA’s board, but said there had been few applicants. Board members must be a CEO. IATA says just 3 percent of airlines have a female leader. Delegates said seats are also divided up by region, meaning some national airlines may have to release influential board seats to favor a female candidate from their own region, but a woman in one region could not benefit from a vacancy in another. 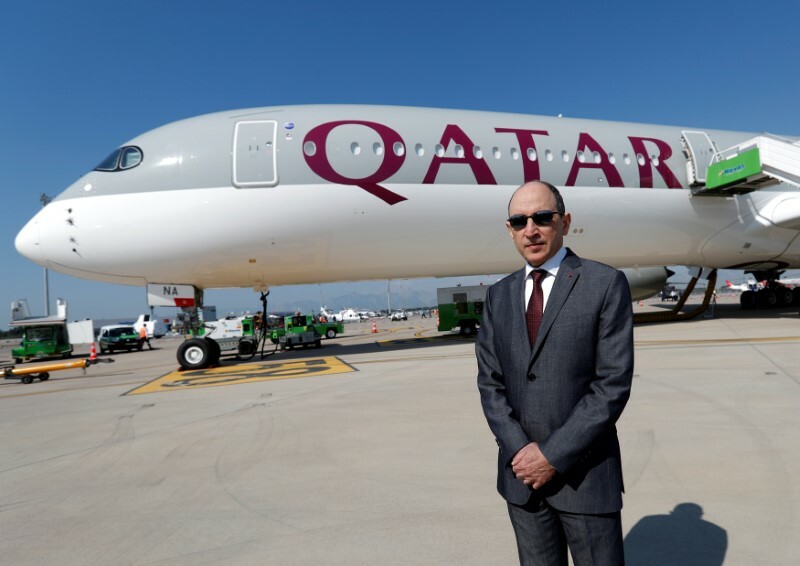 U.S. and some European airlines have accused Gulf carriers of unfair competition based on subsidies and social policies, but Walsh – whose group counts Qatar Airways as a shareholder – said he believed Gulf airlines competed on an equal footing.